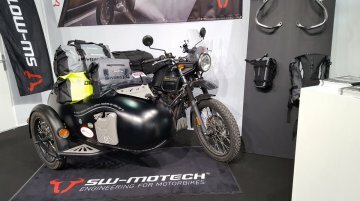 We have seen many modified Royal Enfield Himalayan motorcycles. 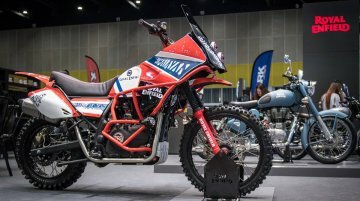 However, this unique 'Wilder' Himalayan by Bulleteer Customs takes the scrambler game a few notches up. 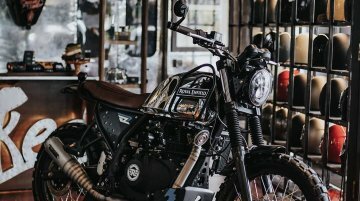 Folks at Smoked Garage Indonesia took a standard Royal Enfield Himalayan and gave it a makeover by adding some bling to the package. 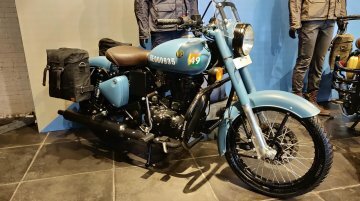 For starters, the stock paint of the adventure tourer was scraped..
Royal Enfield has launched the Himalayan ABS in the Brazilian market. 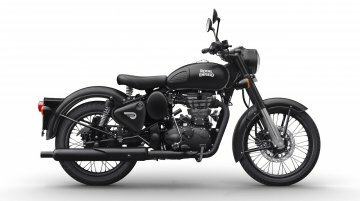 The motorcycle was launched in Brazil at 18,990 Brazilian Real, which translates to INR 3.59 lakh (as on January 29). The.. 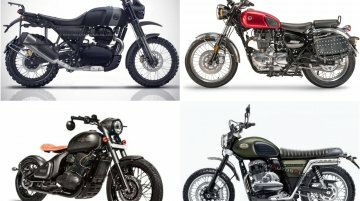 Unlike what is being widely reported, Royal Enfield does not plan to launch the Himalayan 650 in India this year. 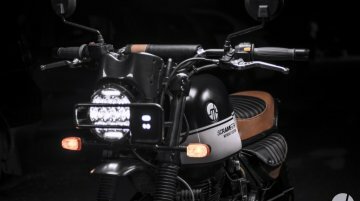 In fact, the Royal Enfield Himalayan 650 twin will see the light of the day sometime..
Classic bikes are the flavour of the time. 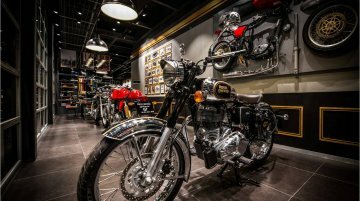 The modern-retro lines, evocative design and the pure motorcycling aura has a charm of its own. 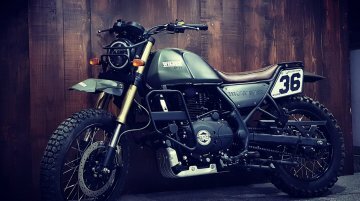 The nostalgia these motorcycles evoke isn’t offered by any..
Delhi-based motorcycle builder Motokraft Customs has modified a Royal Enfield Himalayan that will delight every 'rider-heart'. 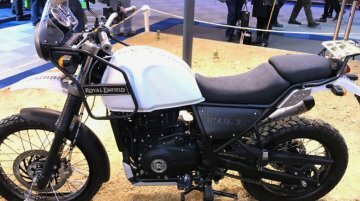 The Royal Enfield Himalayan has been subject to various mod-jobs,.. The Insurance Regulatory and Development Authority (IRDA) has made the five-year third party insurance mandatory as against the current coverage for one year which has resulted in increased on-road.. 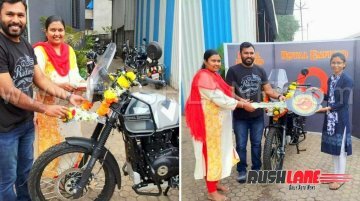 Deliveries of the Royal Enfield Himalayan ABS have commenced in India. 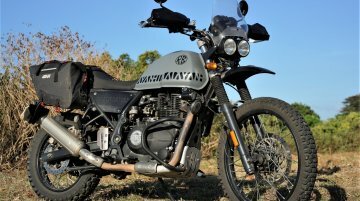 As reported on August 29, the bookings for the ABS-equipped Himalayan had commenced for a token amount of INR 5,000. The.. 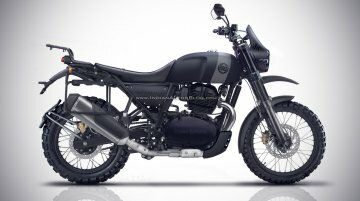 The Royal Enfield Himalayan is a proper adventure motorcycle that is designed for all roads. 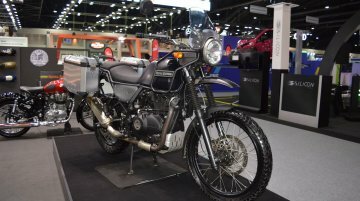 There is, however, a more rugged and off-road ready version of the motorcycle that drew attention at the..
Royal Enfield is developing next-generation models of the Royal Enfield Classic, Himalayan, Thunderbird and the Bullet range of motorcycles, according to a report from ET Auto. 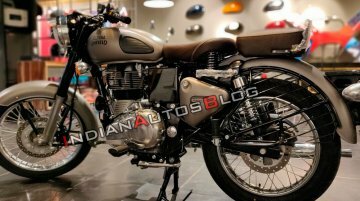 These models are not..
Royal Enfield dealerships across India that IAB spoke to have commenced bookings for the Royal Enfield Himalayan ABS variant for INR 5,000. 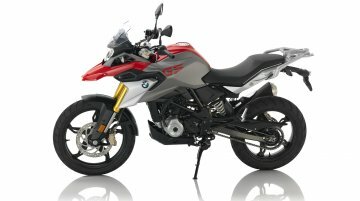 The ABS version is already on sale in Royal Enfield’s..
BMW Motorrad India is likely to launch the BMW G 310 GS and the G 310 R in India on 18 July. 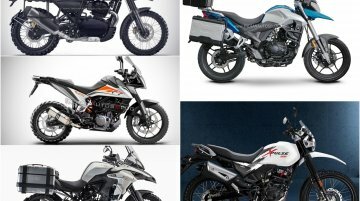 Ahead of their launch, let’s take a look at how the G 310 GS levels up against the Royal Enfield Himalayan..